From time to time here at TurnkeyWebsiteHub we love to show off other blogs stuff (because they are way better that ours!) and we came upon a super-duper informative post by the amazing writers over at wpkube. This article explains the in’s and out’s of how to add google tag manager to your WordPress website and actually creating your first tag. We could not leave this article alone so we are sharing it with you. 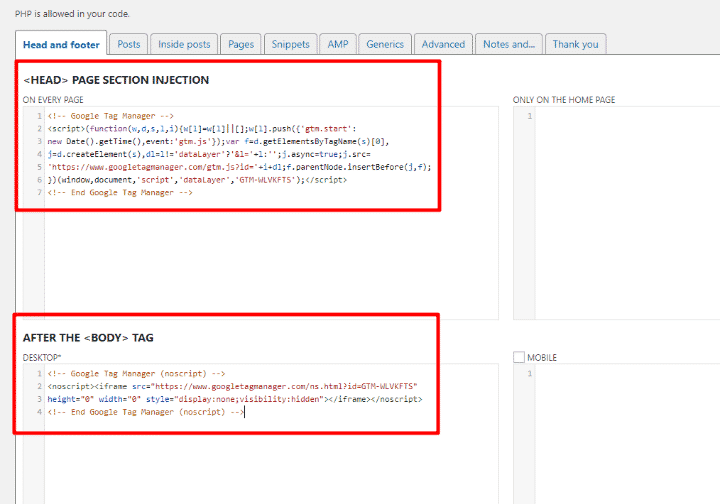 Want to add Google Tag Manager to WordPress? 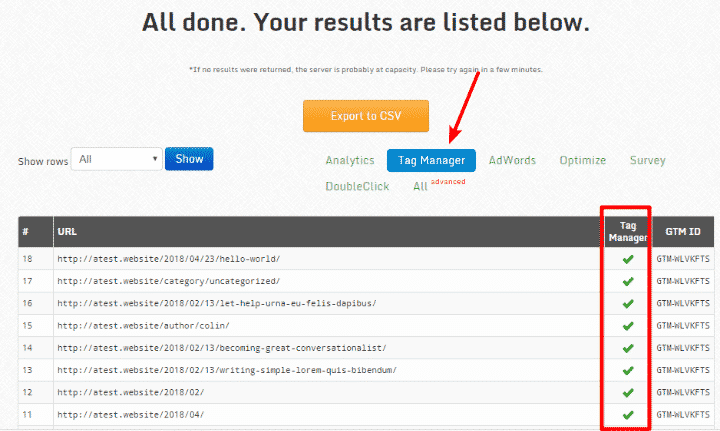 You can just manage everything through Google Tag Manager! If you find yourself often adding various scripts to your WordPress site, Google Tag Manager is going to be a lot more convenient for you. And once you get the hang of it, you can even start using it to collect more actionable data to inform your marketing efforts. 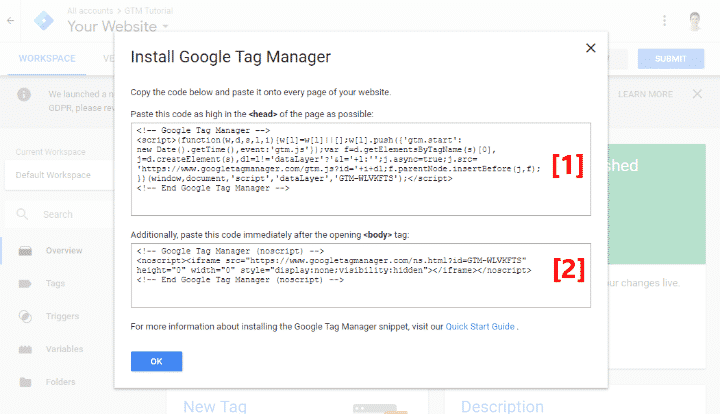 In this post, I’ll show you step-by-step how to install Google Tag Manager on your WordPress site, including where to add the code. Then, I’ll give you a quick guide for how you can publish your first tag and make sure it’s working. 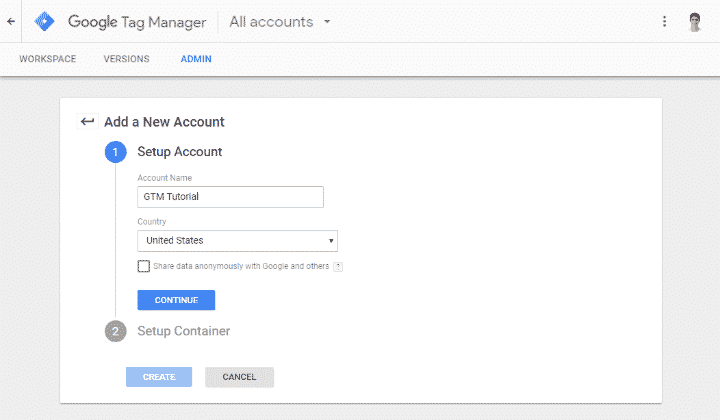 If you haven’t already, the first thing you need to do is sign up for a free Google Tag Manager account. You can do that by heading here. Beyond directly editing your child theme, WordPress doesn’t give you an easy way to insert code after the <body> tag, and each theme works a little differently so I can’t give you a tutorial that applies to all themes. If you already feel comfortable editing your child theme’s files directly, you can just do that. If you don’t feel comfortable working directly with your theme’s files, I’ll show you two different methods that you can use – a beginner-friendly plugin and a simplified code method. If you’re ok with dedicating a plugin to Google Tag Manager, the easiest way to add it is using the free Head, Footer and Post Injections plugin. To get started, install and activate this free plugin. Then, go to Settings → Header and Footer in your WordPress dashboard to access the plugin’s interface. Make sure to save your changes and you’re all done! Let me lead by saying that this method is technically not 100% optimal. 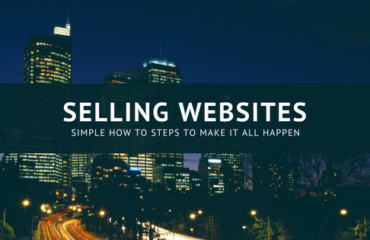 It works fine for most sites, but I’ll explain what I mean after I show you what to do. Make sure to replace the placeholders with the actual code snippets. So why isn’t this method 100% optimal? Because this method puts the second code snippet in the footer, rather than after the opening <body> tag, your tag might not fire if a visitor doesn’t completely load your page (which is rare, but possible). That’s the reason Google recommends you add it as high up in your site’s code as possible. But for most sites? This method is totally fine. If you see it – congrats! You properly installed the Google Tag Manager scripts on your WordPress site. 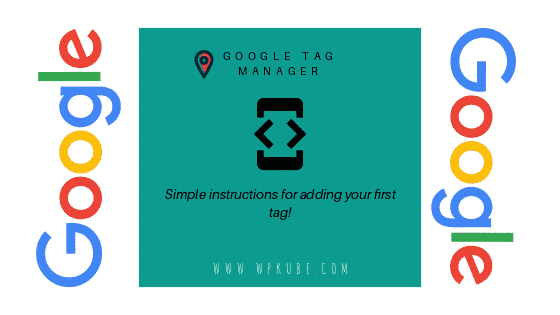 Now, I’ll quickly go through how to use Google Tag Manager to create your first tag. Once you’ve added the code snippets to your site, you can go back to the Google Tag Manager interface and create your first tag. A “tag” is basically a specific script that you want to insert into your site with Google Tag Manager. By clicking on Tag Configuration, you can choose what type of tag to create. Google includes all kinds of pre-built options for stuff like Google Analytics, Google Optimize, and lots of third-party services. Once you choose your Tag Type, you’ll need to configure it following the settings. Then, you can click on the Triggering section to choose when to “fire” your tag. Once you finish setting things up, click Save. 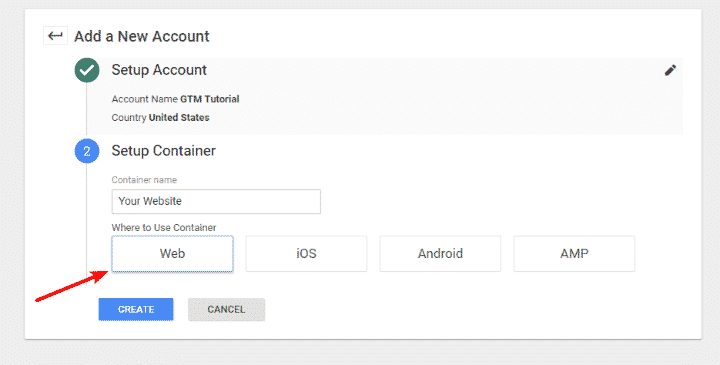 Now, all you need to do to make your tags live is publish your Container. Then, enter a Version Name and Version Description. I recommend that you make these as detailed as possible to help with version control later on. That is, explain exactly which tags you’ve added and what they do. And that’s it! You just published your first tag. If you want to make sure the individual tags in your container are firing, Google offers a free browser extension for Chrome called Tag Assistant. At this point, you’ve successfully added Google Tag Manager to WordPress. But Google Tag Manager is pretty deep in functionality and explaining the huge number of interface options goes beyond the scope of this post. 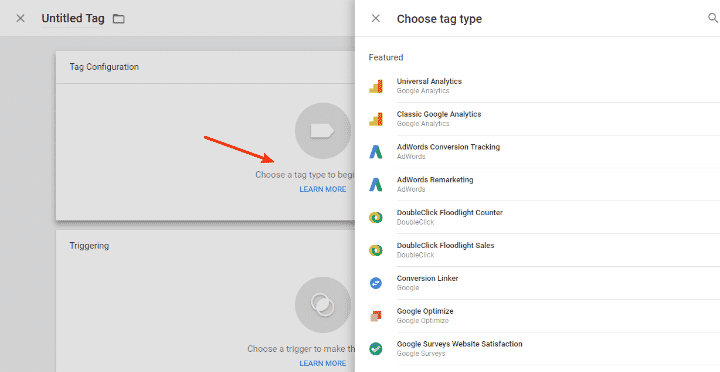 So – now that you have Google Tag Manager installed, you can learn a whole lot more about the interface in this Moz article. 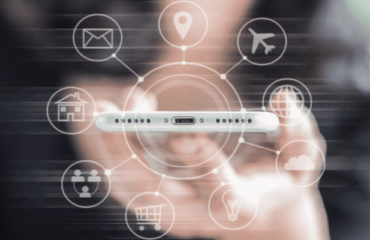 And for more related reading on some of the tags you can implement in Google Tag Manager, check out our posts on Google Analytics and WooCommerce Google Analytics goals. 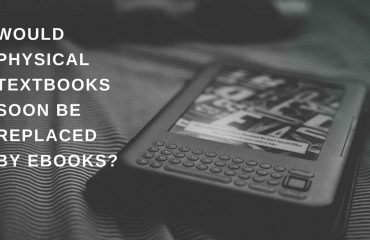 Would Physical Textbooks Soon Be Replaced By eBooks? Find Out!